Last week we went out to Anaheim Hills, CA to remove and replace some very old leather pockets. 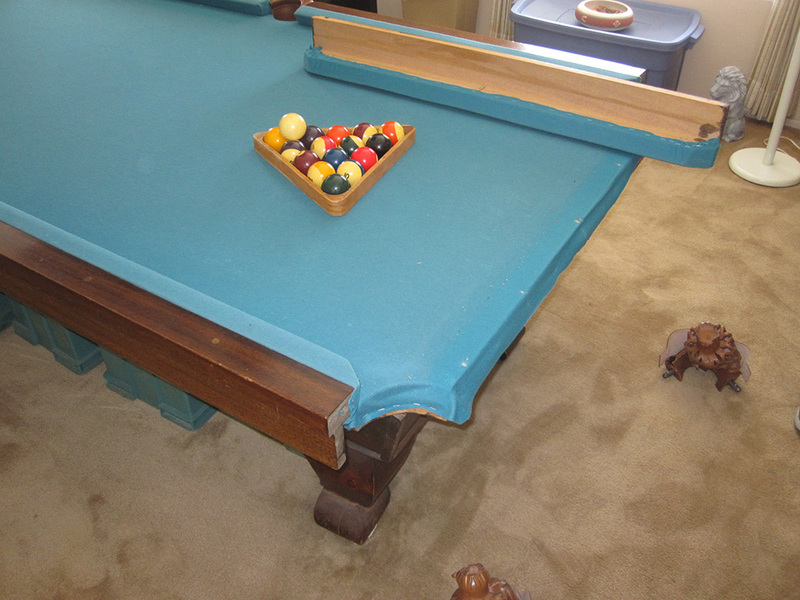 This was an old “Cooper” pool table named after the man who built and sold these highly unorthodox pool tables. Just a little history on the man named Cooper, I have heard from customers of his that he actually drove to the customer’s house with the pool table loaded into the back of a Ford “Pinto” station wagon. 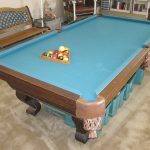 I have heard that he would actually build the whole pool table on site. 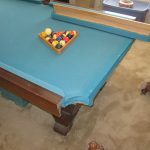 Most of these “Cooper” tables were built around a one piece slate. Every one of these pool tables is a little different than next. 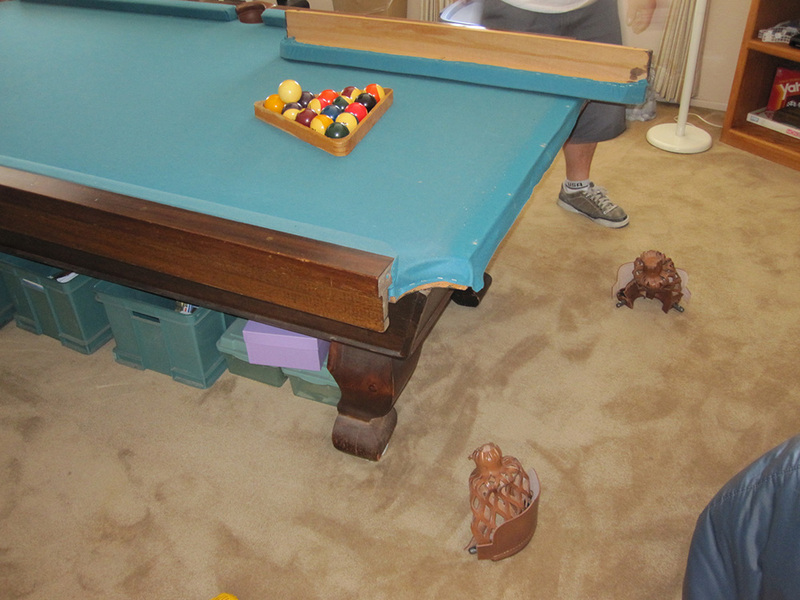 From an installer’s standpoint, one never knows whats in store with a Cooper table. 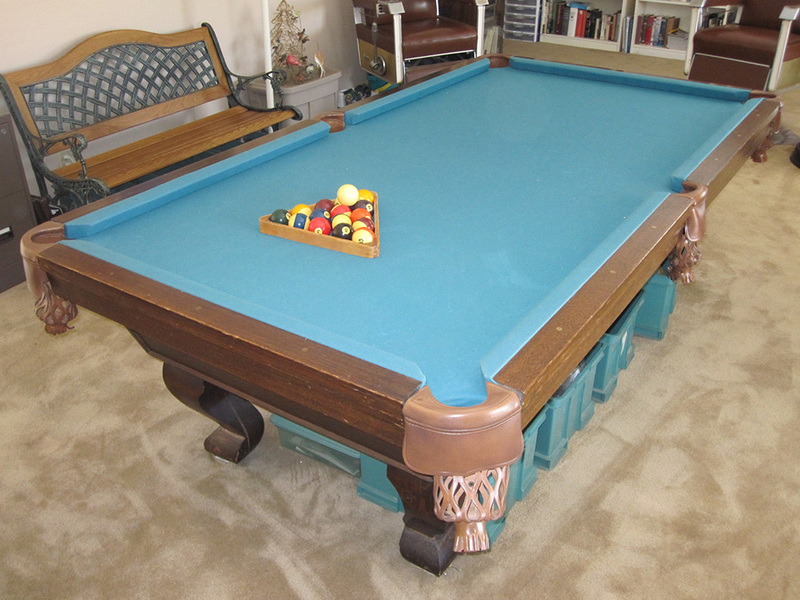 For the most part these sub-par pool tables functioned rather well, considering the crude construction materials used. 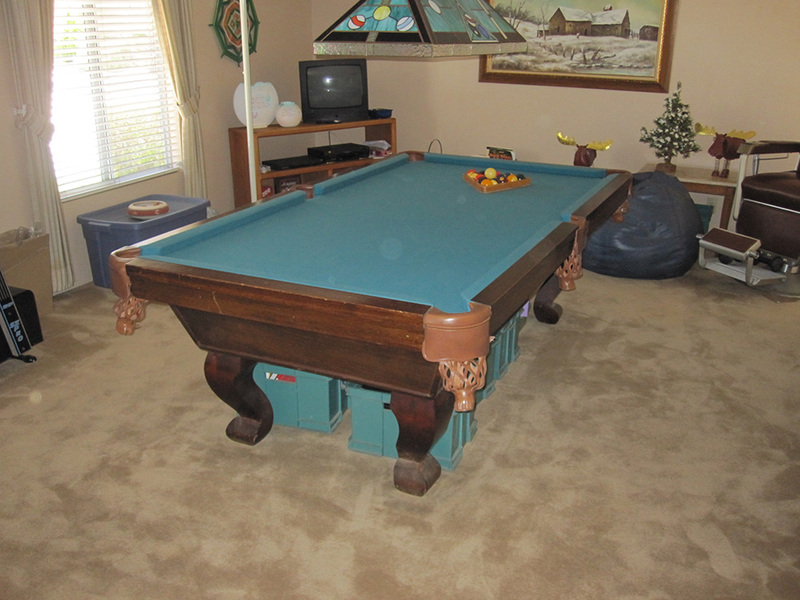 But I think that at the time, these tables were very affordable for most people wanting to own their own pool table. Let’s get back to this new pocket job. Basically the pool table was original except for the pockets. Our customer told us that he had the felt repalced once or twice in 30+ years and I’m sure he’d had the rubber cushions replaced sometime 10 or 15 years ago. I noticed that one of the cushions was starting to go “dead”. He told us that he and his grandkids just dink balls around once in a while and recushioning the rails was not necessary, but that his leather pockets were in need of replacing. So that’s what we did for him. Now all the pool balls will stay in the pockets and not on the floor, where they’ve been going for months. 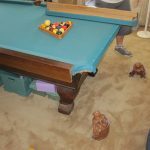 Yet another pool table resurrection by the pool table experts.